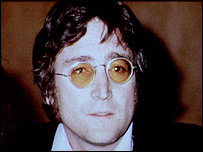 John Winston Lennon - who died 25 years ago - was born in Liverpool on 9 October 1940, the only child of Fred and Julia Lennon. His parents split when he was a toddler and he was raised by his aunt, Mary Smith. But he remained close to Julia, who encouraged him to learn the banjo, later switching to guitar. Tragedy struck when John was 17, when Julia was struck and killed by a car. 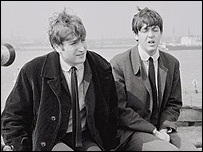 Sutcliffe joined the group on bass, and with new drummer Pete Best and a new name, The Beatles, they secured a residency in Hamburg. 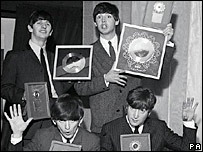 First single Love Me Do reached a modest number 17, but follow-up Please Please Me topped the UK chart. Beatlemania was born. By the mid-1960s, The Beatles were the world's biggest band, and Lennon and McCartney's songwriting skills were developing at breathtaking speed. 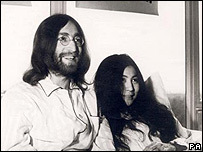 Lennon's love life was also in turmoil and he finally left Cynthia for avant-garde artist Yoko Ono. 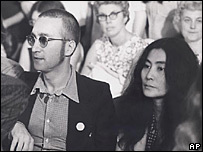 The couple became immersed in radical political causes, and Lennon performed Instant Karma on Top of The Pops with cropped hair as an anti-war protest. 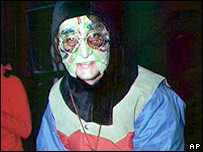 His killer, Mark Chapman, had his third application for parole turned down in October 2004.